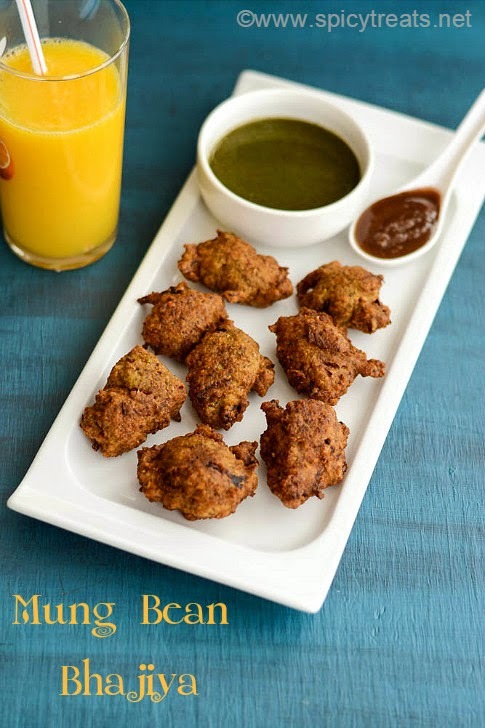 That's it..Batter is ready to fry bhajiyas/moong dal pakora. 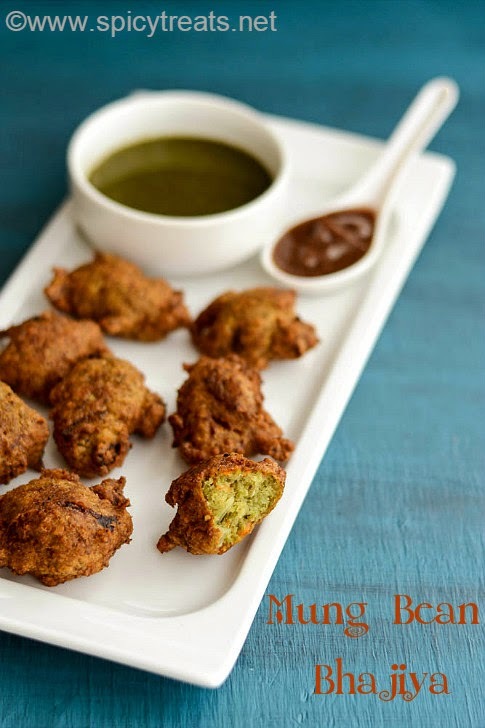 Instead of whole moong dal, you can use yellow moong dal too, if using yellow dal soak only for 1-2 hours. 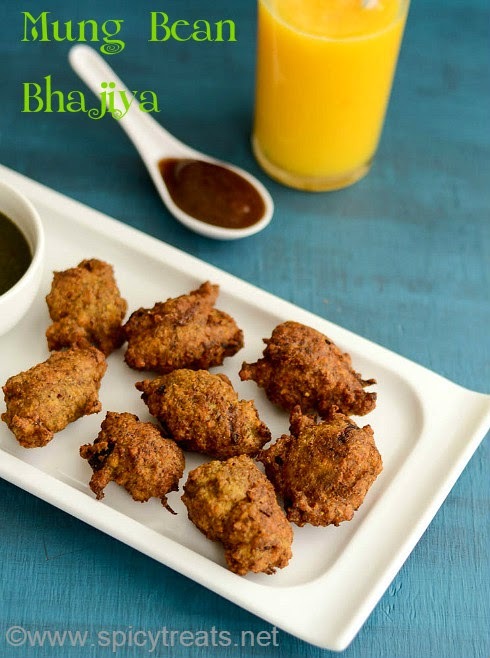 Adjust green chili and pepper corns to your taste, the above quantity will give you moderate spicy bhajiyas. Lovely snack, maybe best to go with a cup of tea. 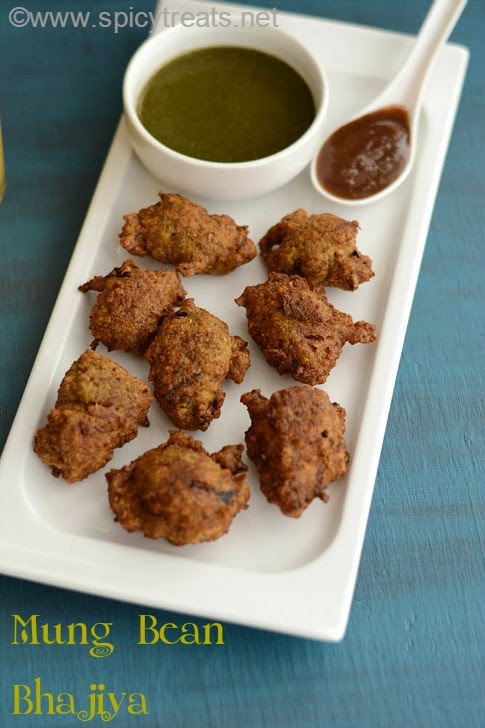 sorry for the delayed response, yes you could add some besan or rice flour or combo of both to fix the batter.